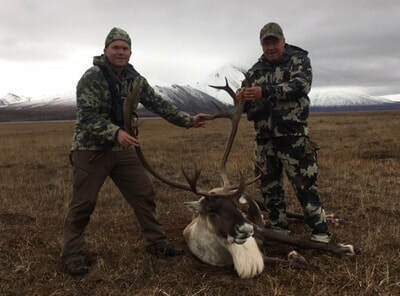 We hunt trophy Alaska Barren Ground Caribou in the north and south Brooks Range. 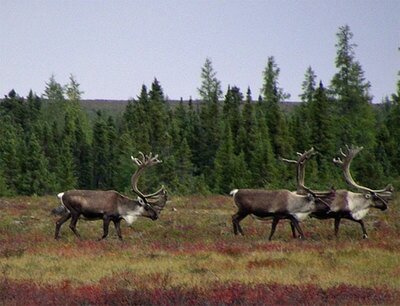 The Alaskan Barren Ground species is the largest body sizes and antler sizes of all caribou species in the world. Hunts are staged from Bettles, Alaska during mid-August through September. Bettles is located 241 miles northwest of Fairbanks and 35 miles north of the Arctic Circle. 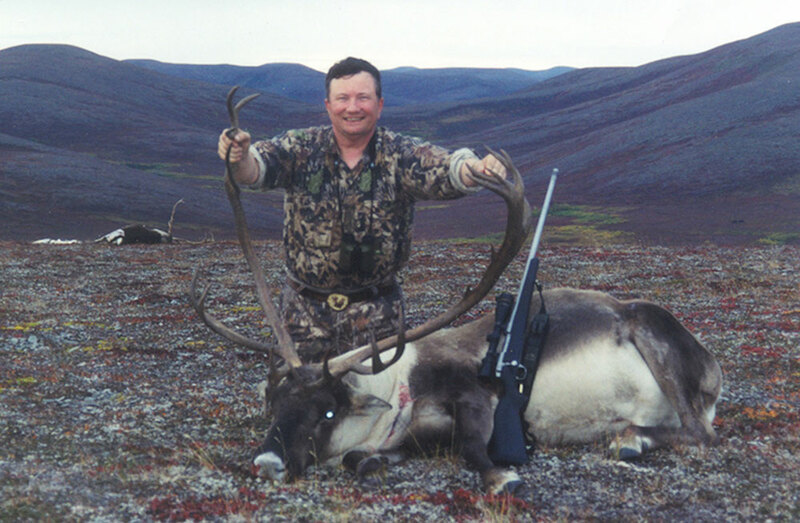 We primarily hunt the Western Arctic Caribou herd, the largest herd of the 32 identified Caribou herds in Alaska. 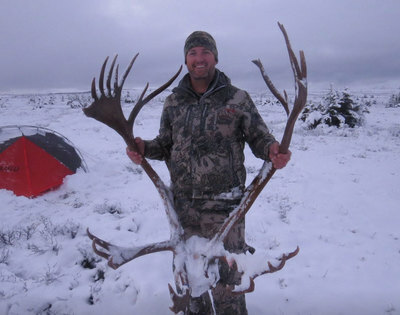 Alaska Department of Fish and Game estimates there are over 259,000 animals. The primary Caribou migration patterns run through the heart of our area, where Caribou have been migrating for centuries! 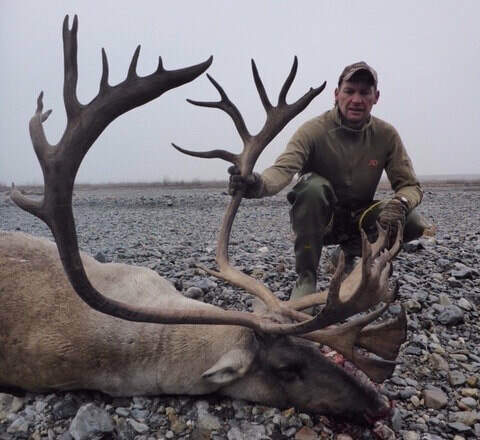 We are familiar with the migration patterns of the Western Arctic Caribou herd, the Central Artic herd and the Porcupine herd. 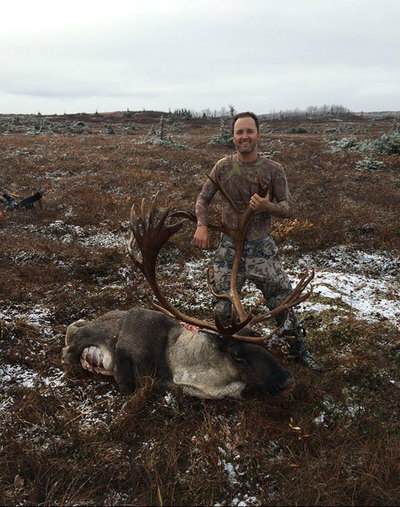 Our base camps are ideally located in the major migration routes and caribou are routinely harvested within a short distance from our camps. This is the number 1 area in Alaska for big Caribou and is one of North America’s most game rich areas. If you’re looking for a great hunt to collect a really nice trophy Caribou bull and have a super time, you won’t find a better deal anywhere. Don’t pass up this opportunity to hunt one of the largest Caribou herds in the world. 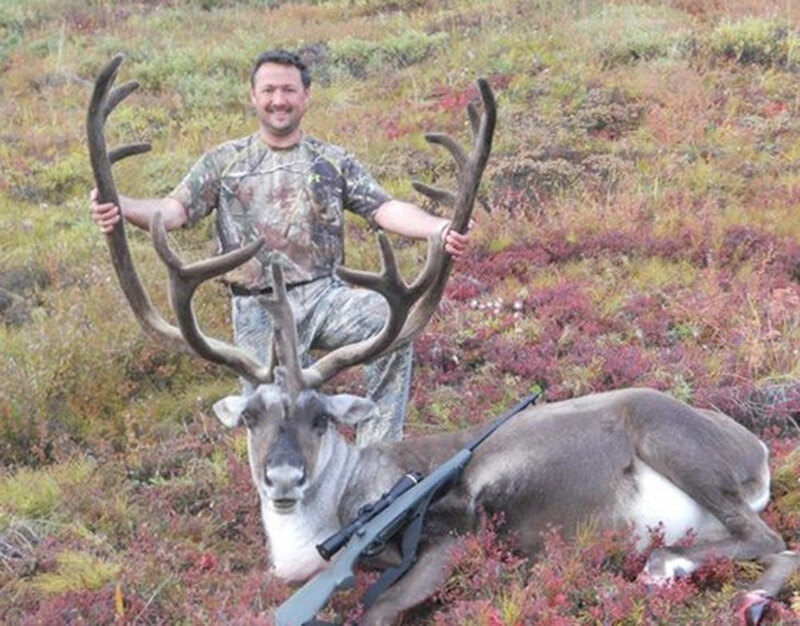 Nonresident hunters may take one Caribou bull. 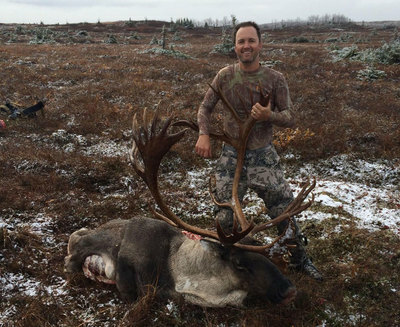 Clients may upgrade hunt for trophy fees and additional moves for the following species: Moose, Brown/Grizzly bear, Black bear, Wolverine, and Wolf. These hunts have had an extremely high success rate. 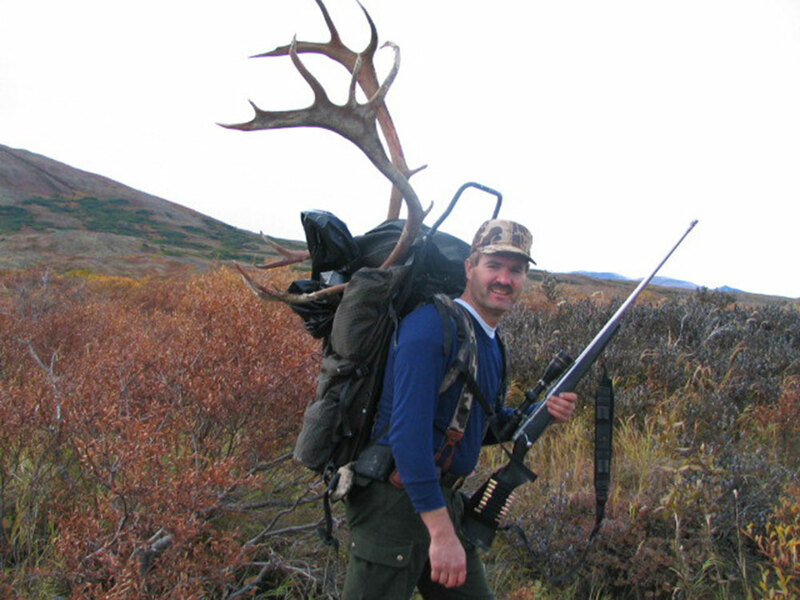 $8,500 per person, based on two or more hunters (2x1) guided, 7-days. Brown/Grizzly bear trophy fee: $10,000. Moose (Sept 5 - 25) trophy fee: $12,500. Wolverine (Sept 1 - Mar 31) trophy fee: $2,500. Wolf trophy fee: No trophy fee. 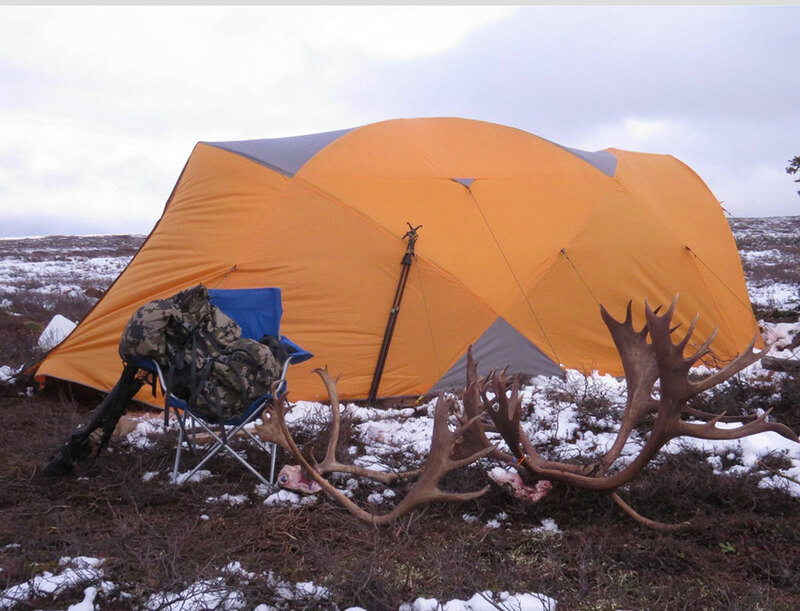 Hunt includes: Professional guide service (2X1), accommodations (Arctic Oven tent), all meals and beverages, use of equipment, trophy field care, and field care of trophy game meat. What to bring: See Planner tab, suggested gear list. Reminder, leave rifle hard case and travel clothes bag with air transporter. 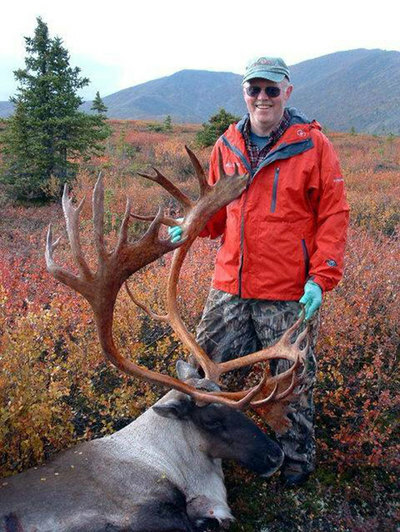 Packing: recommend hunters pack personal gear in multiple small waterproof bags for easy transport on small air charter bush planes. Travel: Arrival/departure point is Bettles, Alaska. Clients are responsible for their commercial air travel to/from Fairbanks and follow-on commuter flight service to/from Bettles. We recommend you arrive 1-day early in Fairbanks prior to your hunt commencing, so you can purchase Alaska hunting license, Caribou locking tag, harvest tickets (no fee), pick-up any additional hunting gear or personal items you may need. Arrival Flight (Fairbanks to Bettles): Recommend clients take Wright Air Service commuter flight from Fairbanks to Bettles on morning flight, so hunters can be shuttle from Bettles to spike camp in the afternoon. You may not hunt on the same-day-airborne. Wright Air Service in Fairbanks, has two flights daily on weekdays and one flight per day on weekends to/from Bettles. When scheduling with them, they will give you options on how they charge for any additional excess weight. Wrights Air Service can be reached at 907-474-0502 or 800-478-0502. 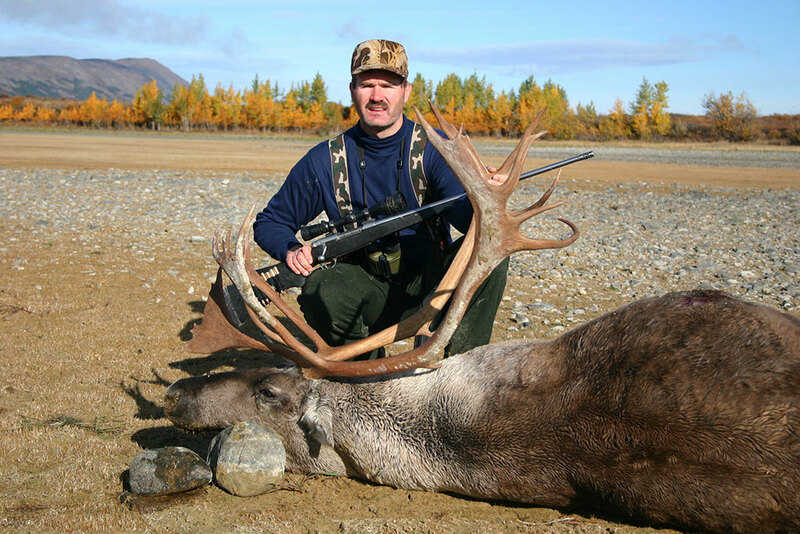 Alaska Hunting License, Locking Tags, and Harvest Tickets: Before arriving in Bettles, purchase your Alaska hunting license, big game locking tags, and harvest tickets (no fees) online at the Alaska Department of Fish and Game (ADF&G) website or purchase upon arrival in Anchorage or Fairbanks, Alaska. 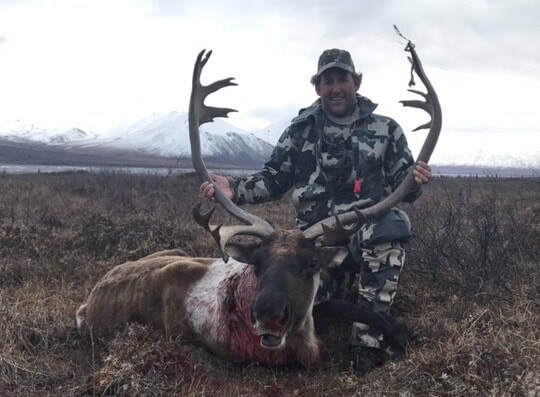 For Nonresident clients: Alaska hunting license: $160 (U.S. nonresident), Caribou tag(s): $650 per tag; Moose tag: $800; Brown/Grizzly Bear tag: $1,000, Black Bear tag: $450, Wolverine tag: $350, Sport Fishing license (7-days): $70, and Wolf tag: no fee. For Nonresident Aliens clients: Alaska hunting license: $630, Caribou tag(s): $850 per tag, Moose tag: $1,000, Brown/Grizzly Bear tag: $1,300, Black Bear tag: $600, Wolverine tag: $500, Sport Fishing license (7-days): $70, and Wolf tag: no fee. Harvest tickets are required for each specie (no fees for permits). 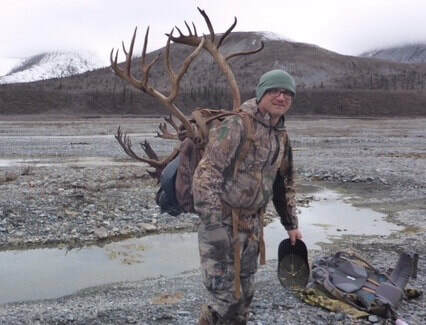 Hunt does not include: Before and after hunt expenses, commercial airfare, air charter service, Alaska hunting license, game locking tags, hotel, meals, shipping of trophy/meat, taxidermy service, and gratuity. *NOTE: Prices are subject to change due to increase costs in transportation, insurance, and ADF&G requirements. Clients will be notified of any changes before submitting a deposit on hunt.